We are an airboat charter service offering the best airboat tours available on Lake Okeechobee. 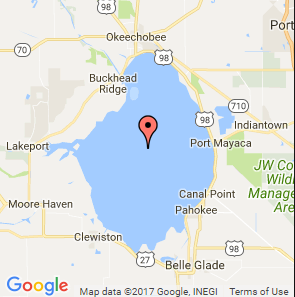 We are in the town of Okeechobee, conveniently located 50 minutes from Ft. Pierce, Port St. Lucie, Stuart, and the rest of the Florida’s beautiful Treasure Coast and we are an hour’s drive from West Palm Beach. 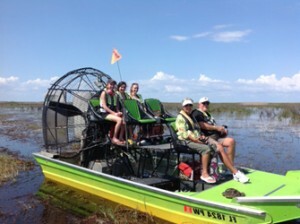 Spice up your Florida vacation and give us a call for a great airboat ride! Also, don’t forget if you are in the Moore Haven or Clewiston area to contact us and we can get you out on the water for the experience of a lifetime. All of Lake Okeechobee is our playground. Here at Florida Airboat Charters we specialize in the personal airboating experience tailored to your wants and needs. All or our air boat tours are “custom.” There are no preset tour times,. You charter the boat and captain for your chosen time and place. Our flexibility is perfect for smaller groups and families, or for people with specific needs. We specialize in wildlife and bird watching charters, night time tours, and just plain exploring. That’s definitely not something you would get with the larger “tour” operators. Your Captain and guide for your trip will be Jason Williams. He is a TWS Certified Wildlife Biologist, Coast Guard Licensed captain, experienced airboat operator, and state certified airboat instructor. Jason is a veteran of a state wildlife agency, has worked extensively with alligators and has spent time on most of the lakes and marshes in central and south Florida. You will be in safe and capable hands.